Instruction manual for Beseler PM2A Color Analyzers. Instruction manual for Beseler PM2L Color Analyzers. Instruction manual for Beseler PM2M Color Analyzers. Instruction manual for Beseler PM3L Color Analyzers. Instruction manual for Beseler PM4L Color Analyzers. 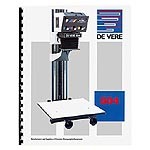 Instruction manual for the DeVere Color 500 Analyzer. 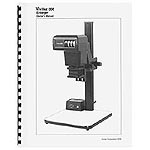 Operating Manual for the Ilford Ilfolab 1250 RC Variable Speed Print Dryer. Operating Manual for the Ilford Ilfospeed 1050 RC Print Dryer. Instruction manual for the Omega # 414-001 Color Print Dryer. Technical Data and Instructions for the Chromega 100 Color Print Dryer. Instruction manual for the Omega Chromegatron Pro-Lab Color Analyzer and Exposure Meter. Instruction manual for the Omega SCA-100 Color Analyzer. Instruction manual for the Omega SCA-300 Digital Color Analyzer. Instruction manual for the SCA-400 Digital Color Analyzer / Timer. Instruction manual for the Omega Simtron II Color Analyzer. Instruction manual for the Omega Super Chromegatron Color Analyzer and Exposure Meter. Instruction Manual for the various models of Time-O-Lite photographic timers. High quality copy of the original Technical Data And Instructions sheet for the Omega Cat. No. 461-014 Solid State Precision Timer II. 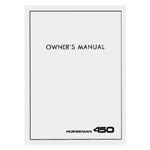 High quality copy of the Technical Information and Instructions sheet for the Omega #461-016 Digital Timer.